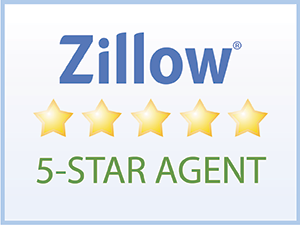 Please feel free to click the Zillow link to the left to view all our client submitted reviews . "Donna is the best real estate professional I have ever worked with. She is knowledgeable, extremely competent, and responsive. I have both bought and sold homes through Donna and she made the deals I wanted happen every time." "We interviewed Donna, along with two other agents that were recommend by friends who had recently sold homes. During the initial interview she was knowledgable about the local market, was very personable and honest, and had the substantial organizational weight of Elite Pacific Properties behind her. We selected Donna 9 months before we actually listed the property, but she had it as a pocket listing during that time. 3 months before listing we met with Donna and she introduced us to her new partner Sunita, this was done with the understanding that, if we didn't "click" with Sunita, Donna would handle us solo. Sunita was equally as personable and professional, so we now had a team working to sell our home. (With a bonus of Donna's husband Randall who is a great photographer and drone video guy.) We all worked on the listing description together and listed it Jan. 10th, 2018. One of them was present at every showing, and the promoted it vigorously via every available avenue. They even retained a very skillful outside web consultant to assist with that process. Donna and Sunita walked us through the Hawaii contract form from our first offer and answered ALL of our questions. (There were lots!) The first offer didn't work out, so we kept showing it. We received a much better offer after 7 weeks on the market. Unfortunately, this was during a serious family emergency and everyone graciously gave us time to deal with the situation. After a few counter, we all accepted the offer and escrow began. Again, Donna & Sunita, bird dogged the process and kept us informed. Donna accompanied us to our closing doc signing, which she usually does. Her and her husband Randall even came and helped us host our Aloha (goodbye) Party after escrow closed, fulfilling a promise made months before." "Donna was amazing through the whole process, her knowledge of the area and local towns was invaluable . She showed us several properties that were exactly what we were looking for. We would highly recommend her to any of our friends or anyone who is looking to purchase a home on the big Island. She was totally amazing!" "We bought our house with Donna, and then years later, she sold it for us. Both were great experiences. Donna led us through every step of the process with patience and good humor. Her photographer takes Fabulous pix, making ours look better than any other on the market. If we buy another house here, we would go straight to Donna again." "I whole-heartedly recommend Donna. I decided to sell my rental house in Volcano but had some concerns; my house was rented, I knew that Volcano could be a difficult market, I lived on the Mainland and it was the holidays. I found Donna listed on the Top 100 Realtors in Hawaii. I contacted her and we discussed various options for listing my house. She and her co-realtor Sunita convinced me it was an excellent time to list and the whole process could be done via email, phone and DocuSign. I was impressed with their enthusiasm, knowledge of market, professionalism and flexibility with my circumstances. I couldn’t be more pleased with my decision. From the time I signed the contract to closing was a little over 90 days. Since I was not on island, Donna and Sunita went above and beyond to deal with an uncooperative property manager, arranged for repairs to be done and coordinated directly with my great tenant. They provided advice when appropriate and kept me updated through the entire process." This is the second home that Donna Duryea has helped with. The care, communication and expertise was excellent for both transactions through the finish. Donna is very friendly and helpful and looked after all aspects of the sale of our home. She made it an easy, less stressful experience and was respectful of our needs. We interviewed several realtors before listing our home with Donna Duryea. Donna saw the actual value of our home, when other realtors were trying to "low ball" our home for a quick sale. Because Donna was willing to "go the mile" with us on our sale and knew we were actually priced right, we ended up getting a full price offer just after two months which we accepted. Had we went with the other realtors we would have lost at least $180k on the sale of our home. Additionally, Donna had chosen to be an agent with Elite Pacific Properties, Hawaii's most professional broker that lists Hawaii's finest homes. Their process for sellers as well as buyers is thorough and is done consistently with many of the tasks automated, without losing the personal experience between agent and buyer/seller. Donna offered to do as many "Open House" dates as we felt necessary to boost our property. Donna also has her own personal and professional photographer; Randall Duryea, that really set our home apart from the rest. The pictures were outstanding, offering potential sellers an exquisite representation of our home to potential buyers. This was really important to us, as you only have a few seconds to catch the attention of a buyer. Thank you Donna and Randall for such personable and professional service, that afforded us a very successful and quick full price sale! Our relationship with Donna has now involved two sales. First, when we were new to the area, her patience and resolve helped us find our unique mountain chalet. This was not easy. It involved exploring several communities and viewing maybe 20 houses until we located this perfect home. She then deftly helped us through a maze of county regulations and negotiations. Four years later, understandably, Donna was the first one we called when it came time to sell and move on. She was always open to marketing ideas and was enthusiastic and highly motivated. Her persistence prevailed. Within four months she brought us qualified buyers who loved this house as much as we did. We're very satisfied with the sale and recommend Donna to anyone serious in either buying or selling on the Big Island. She's not only a pro--she's now a friend. Donna is the real dealer! She will put in 110% for you! She organized not only the sale, but the staging and excellent photos of the property! We got a good price and she and her team troubleshooted any issues in a timely manner. Donna and her team are dedicated in getting the job done, no matter how long it takes. They are very busy, but respond when needed - a great team and I would highly recommend them! Donna is amazing!! She has completed two transactions for me and both of them closed on time or early with no issues. I can't explain how much I appreciate Donna's knowledge, expertise and most of all her caring nature for everyone! Donna is the best in the business!!! Donna and Jessica were so helpful in the sale of my house. Any time I inquired with a question I was answered quickly through email or a telephone call. Their knowledge of the area was so helpful in recognizing the value of my home. When there was a discrepancy in the assessment they took the time to document why it was not accurate. This is the second time that we have worked with Donna. She is a true professional. She has helped us to buy a home and to sell a home in Hawaii. She is always on top of everything and made both our purchase of a home and sale of a home very easy. We highly recommend Donna if you are intending to buy a home or have one listed in Hawaii you cannot go wrong by having Donna. She is extremely professional and ethical. Donna knows that time is of the most urgent matter when buying and selling out ready to move quickly when necessary. You couldn't find a better Team than the Duryea Team. Their wasn't one time that they didn't respond in a timely manner. They were very positive on any of our suggestions and followed through to the best of their ability. Hard working Team and you as a sell/buyer are always #1. The Duryea Team ... the dream team for us ... We had immediate results - within 1 week of posting the MLS we were getting showing requests; in less than 3 weeks we received several serious offers. From the moment we met Donna Duryea, she exemplified what a professional and highly motivated Realtor is. With a "can do" attitude, she was knowledgeable, thorough, insightful-sharp, highly competent, accommodating and a joy to work with! This also applied to her team of Realtor professionals as well. She was confident that she was going to sell our property which not only included a custom, cedar home but also a nursery shadehouse and warehouse sitting on almost 15 acres. Her professional expertise came into play when we went through the escrow process as first-time home sellers. The advise and knowledge she shared were excellent. She had the ability to communicate with a multitude of people from various multicultural backgrounds and walks of life and was able to negotiate, inform and coordinate the details in a tactful, professional and personal way. Having been born and raised in Hawai'i, Donna has the innate sense of culture, respect and the true Aloha Spirit. Her experience on the Continental U.S. and abroad adds the added bonus of her ability to relate and treat everyone with genuine kindness. We love the Donna Duryea Team - the Dream Team and so will you! We had the pleasure of working with Donna last year when we bought our first home in Hawaii. She was with us every step of the way, and went the extra mile at the end to insure a smooth closing. I recommend her to all of our friends!